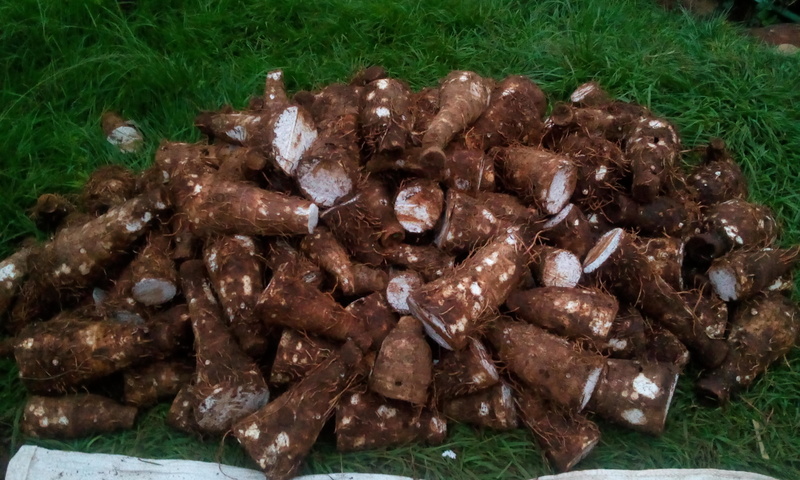 ‘Do you know how to harvest Ndumas?, Would you be interested to help me harvest?’ A family friend asked me. I excitedly answered yes. Tomorrow, I shall pick you up in the morning. That’s how I earned my interesting trip to the heart of Embu town, to a quiet but developed village named Gichiche. I should say the land is well blessed. For me I had never witnessed a land where maize plants would grow as tall and as Paw paw shoots. 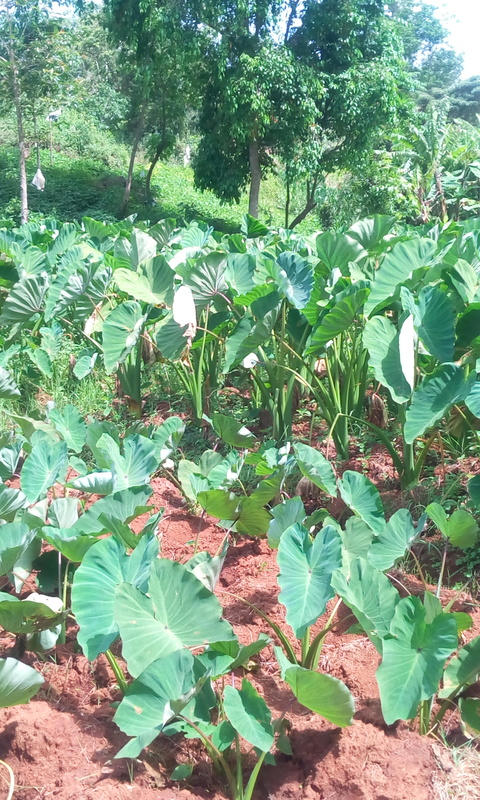 The famous terere plants grew so tall that when I stood in the farm, I was almost the same height, mind you I am around 176cm tall. The arrow roots were practically taller than any I had seen before. Lucky for me, I met a very kind local harvester by the name, Mr. Kivuti. He took the pleasure and honors to demonstrate. He poked around the arrow root plant, ( to disconnect the fibrous roots trom the root). He then started pulling up the plant so in a nutshell, you up root the whole plant and it’s root. Then came the piling part, where all the uprooted plants had to be separated, the roots from main stem. Trust me, the Sorting process wasn’t as easy as narrated. Mr. Kivuti was very particulate that one had to separate the root from the stem at a very exact point so as, not to waste the harvest and not to waste the seed, I had to confirm with him 3 times so as not to mess the harvest. and it all worked successfully, what can I say, I’m a fast learner 👌. Eventually the work was done and we had a bountiful harvest. Feel free to invite us to visit your Shambas and experience the farming process as you play your role in feeding the nation.